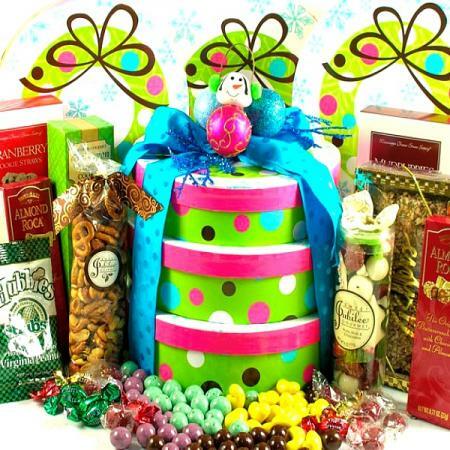 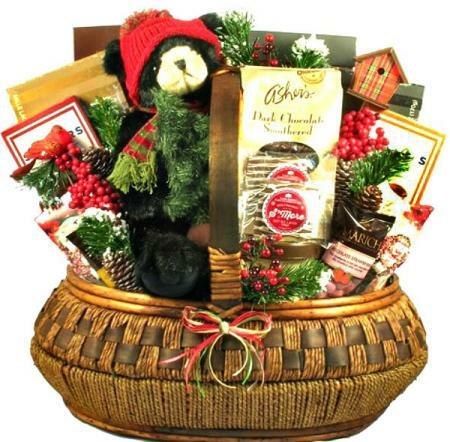 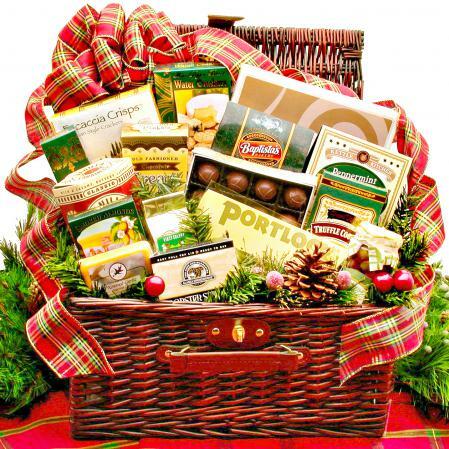 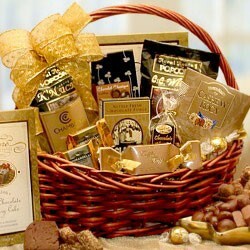 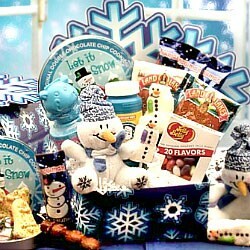 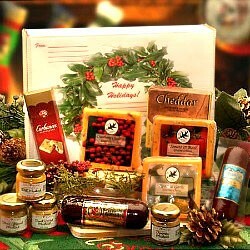 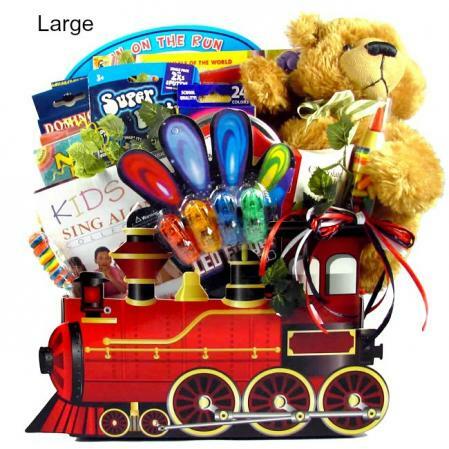 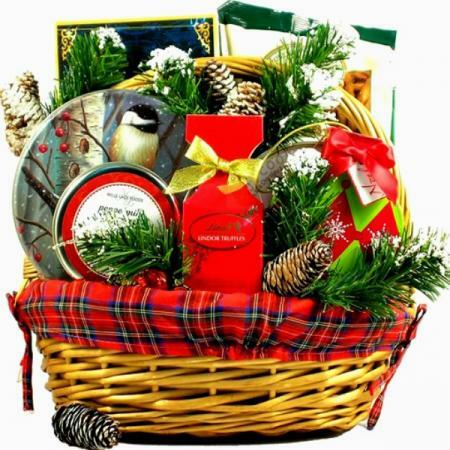 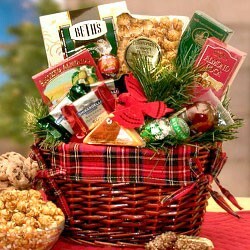 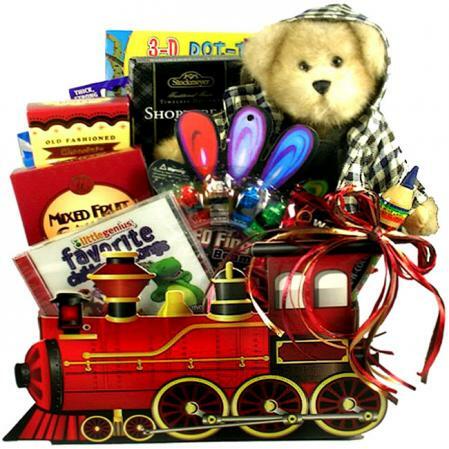 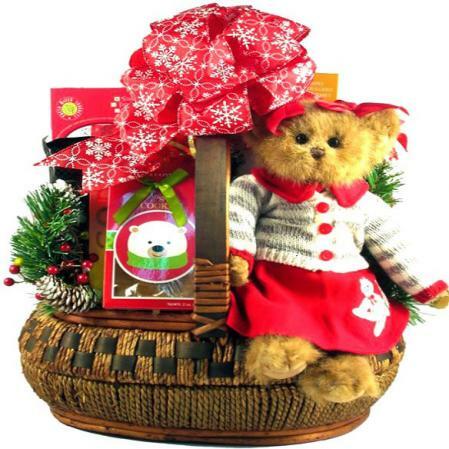 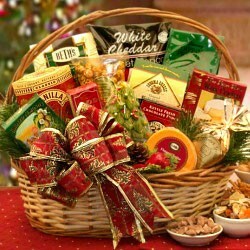 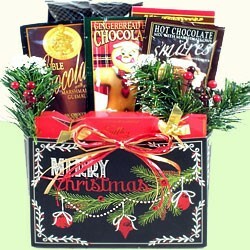 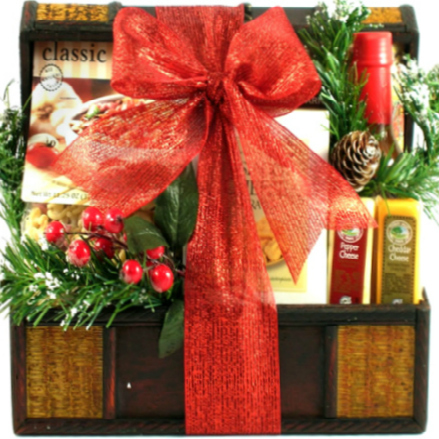 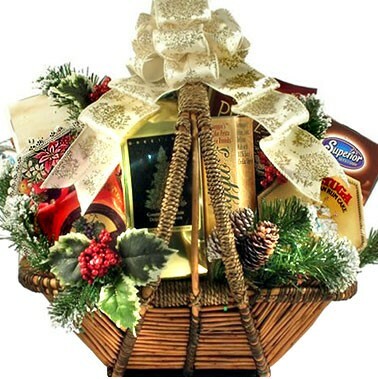 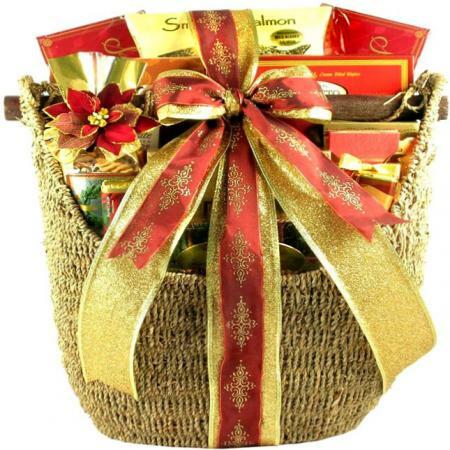 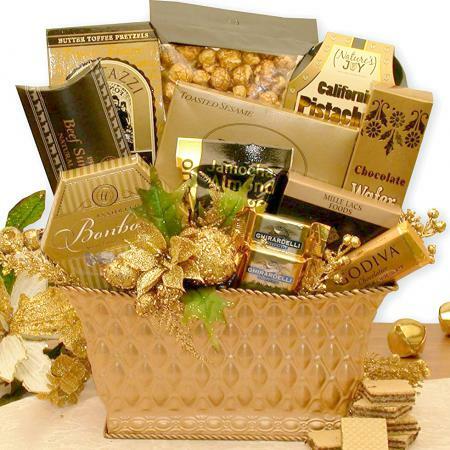 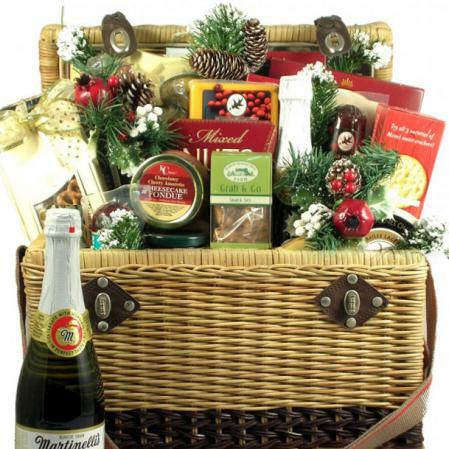 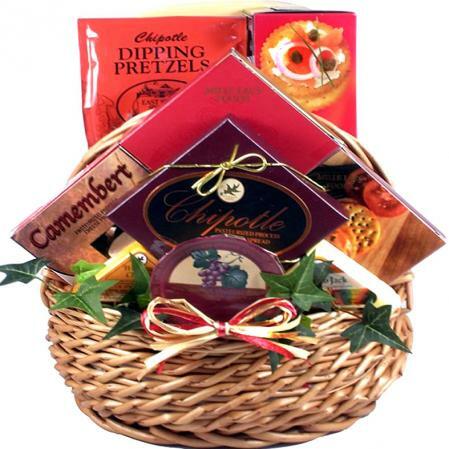 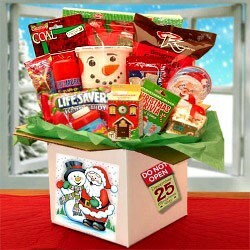 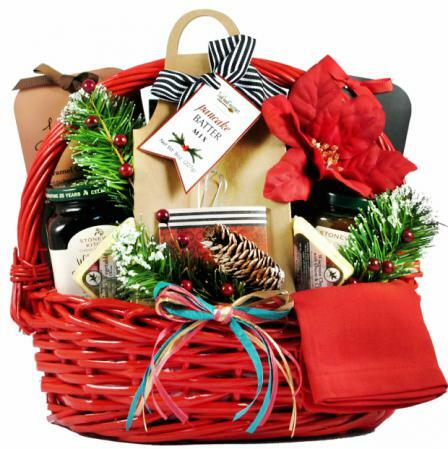 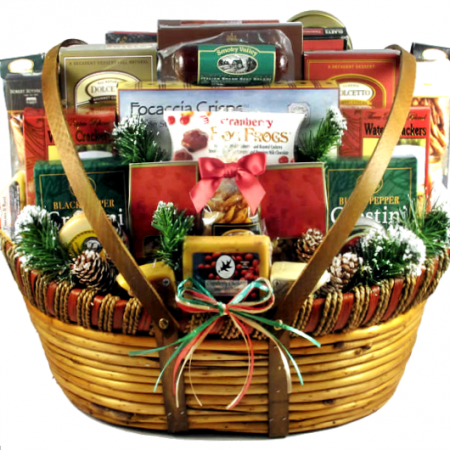 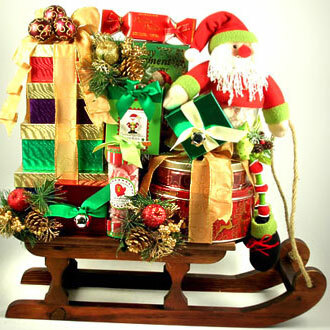 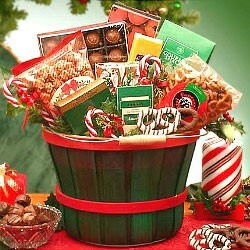 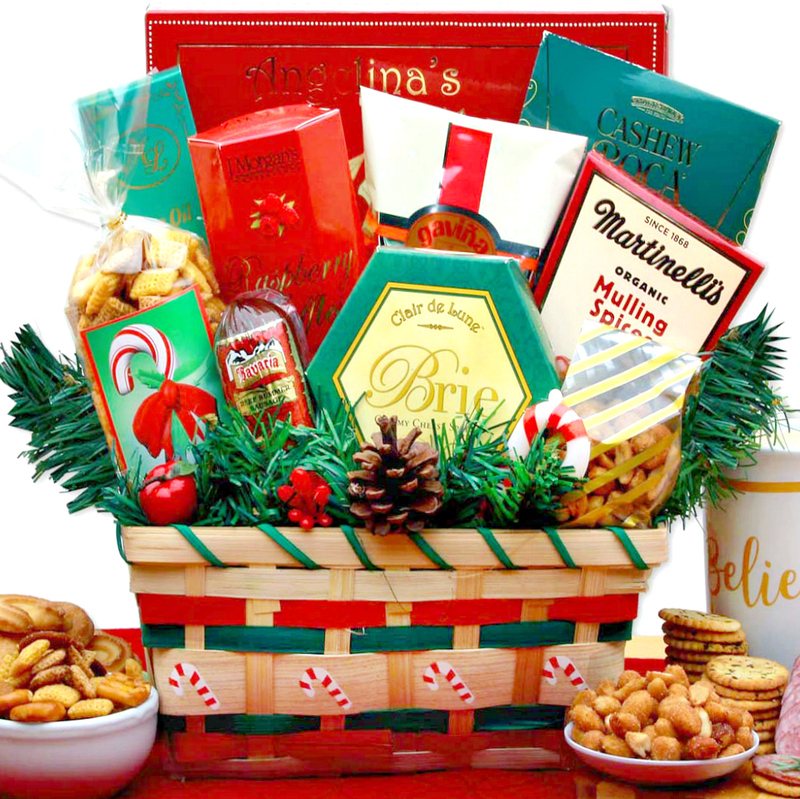 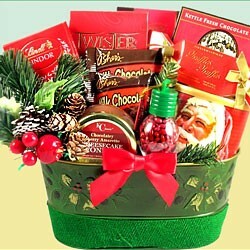 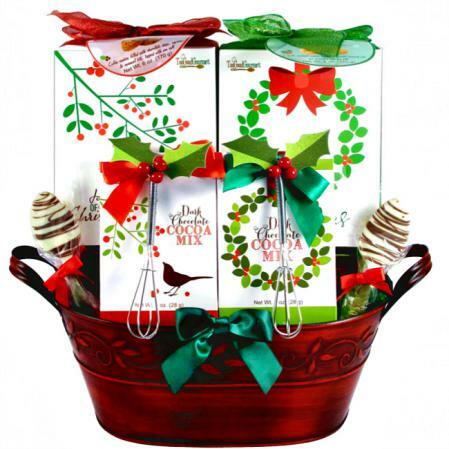 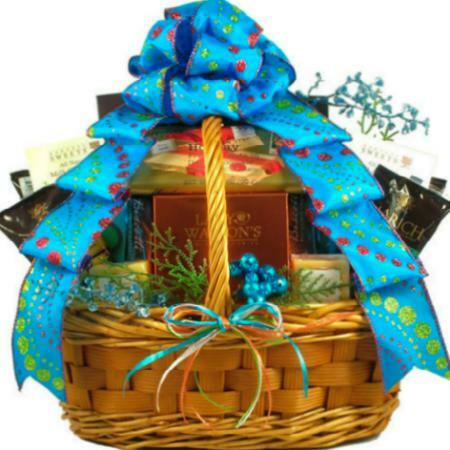 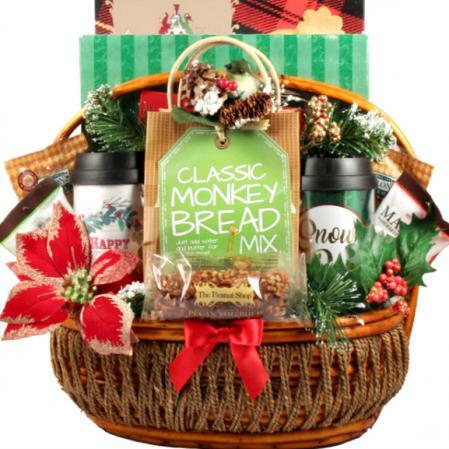 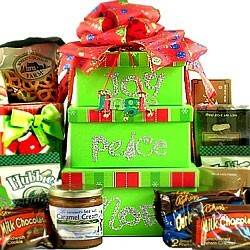 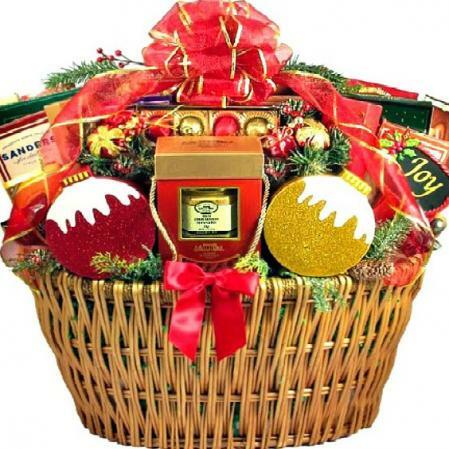 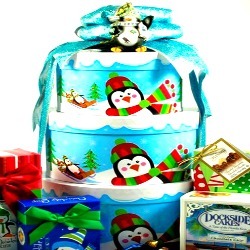 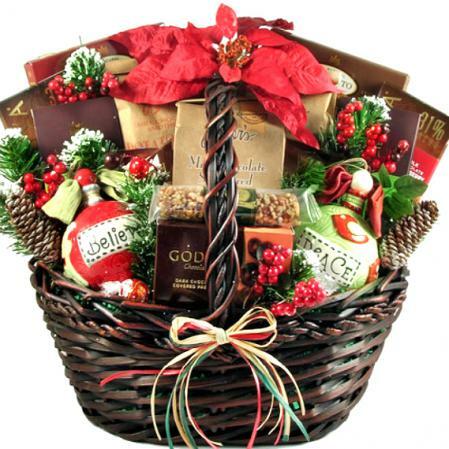 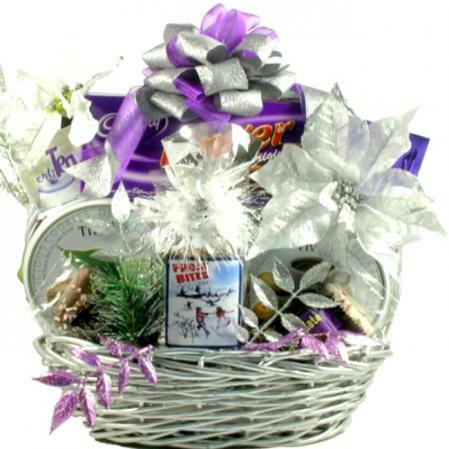 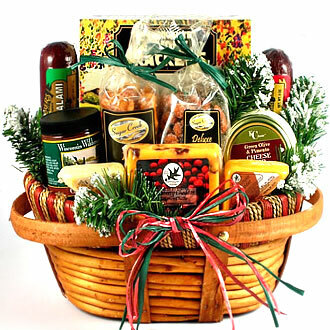 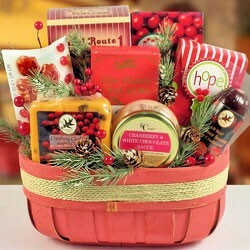 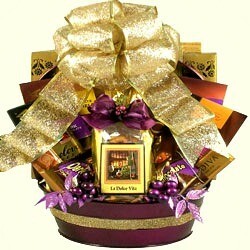 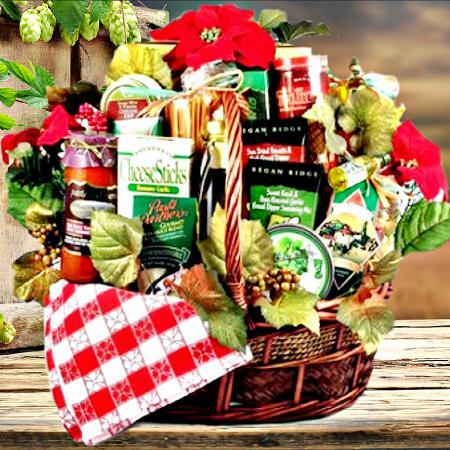 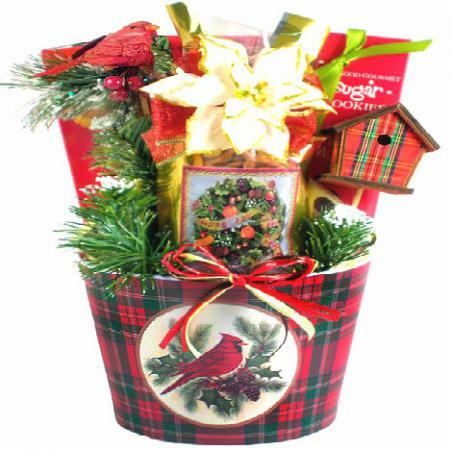 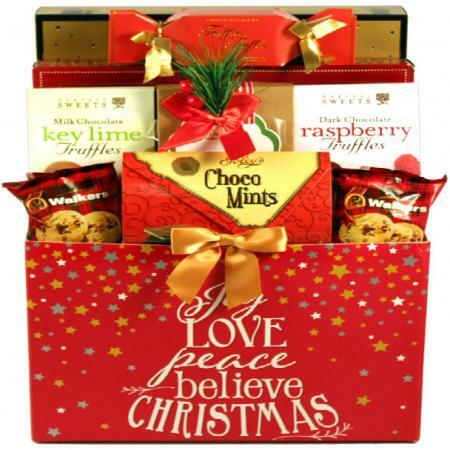 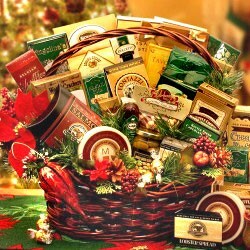 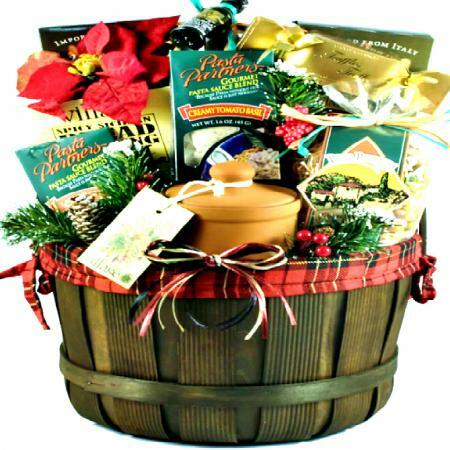 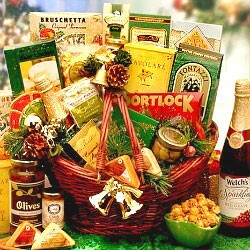 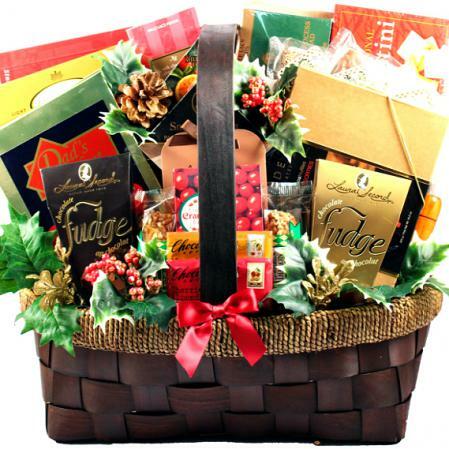 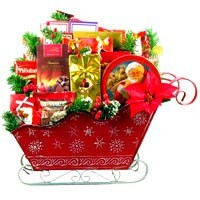 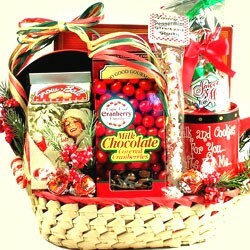 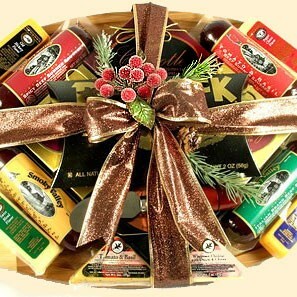 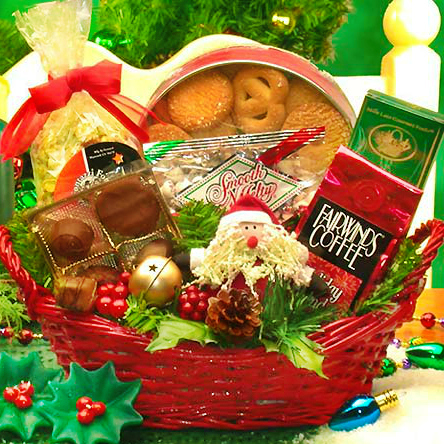 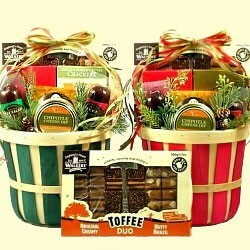 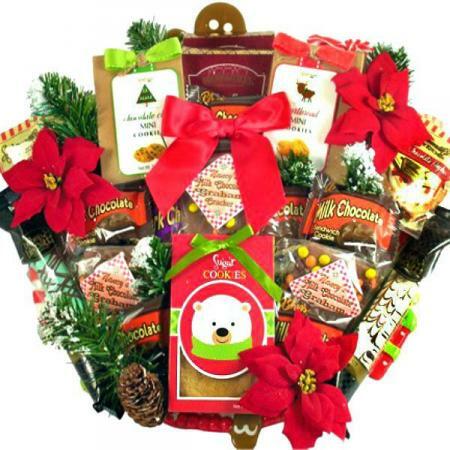 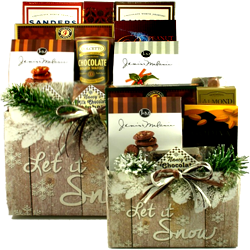 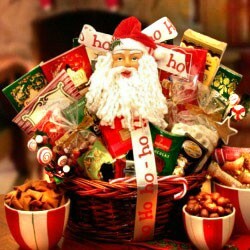 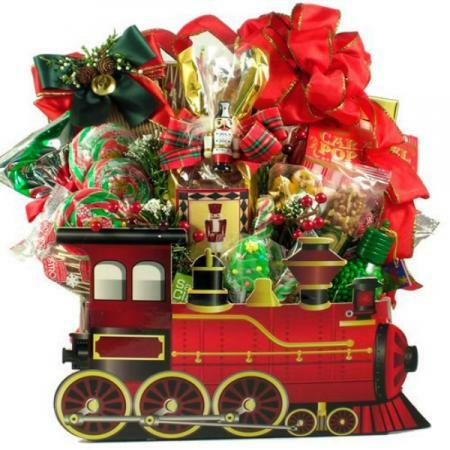 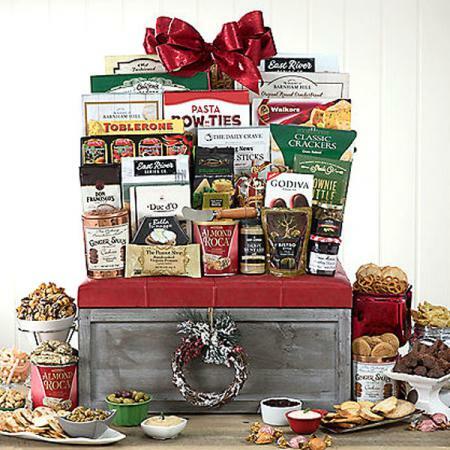 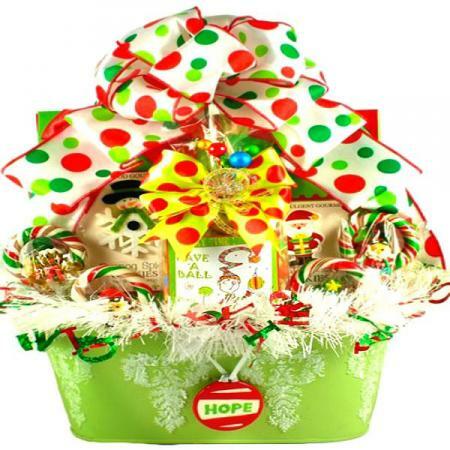 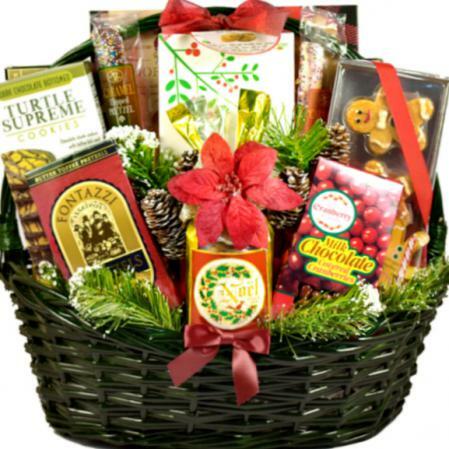 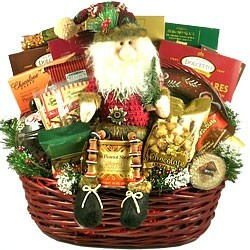 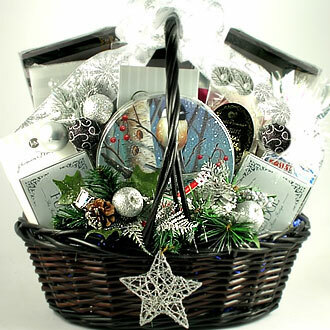 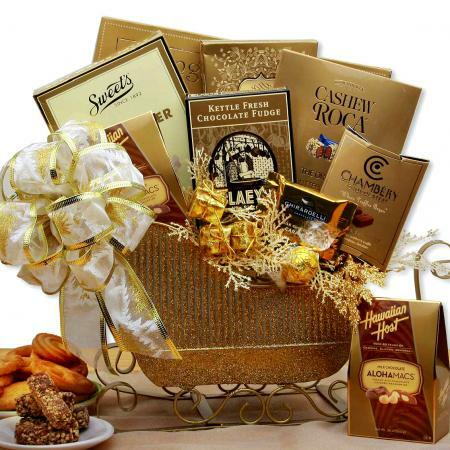 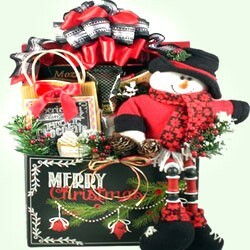 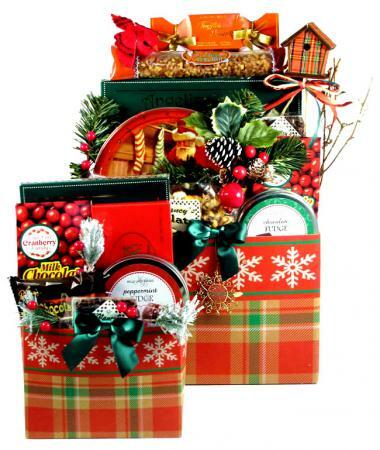 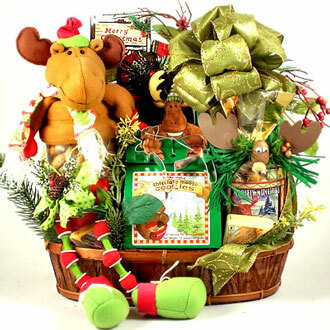 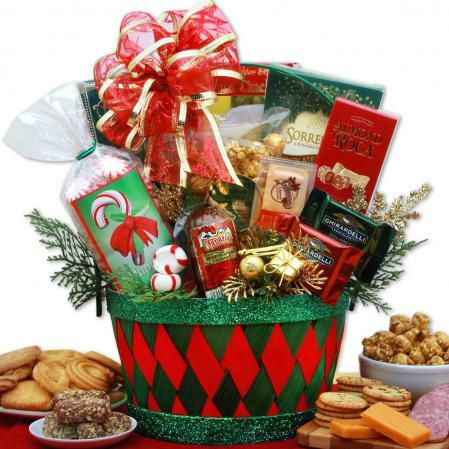 A basket gift of Christmas treats complete this delightful holiday gift assortment. 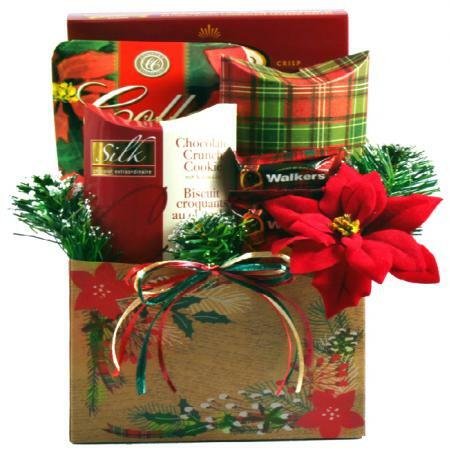 Decorated with pine and pine cones this festive gift is wrapped in cellophane and topped with a handmade holiday bow. 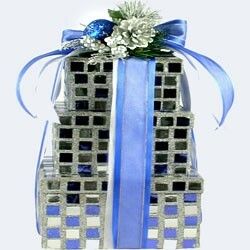 Completed gift measures 10 inches long by 6 inches wide and 12 inches tall and weighs 4 pounds.